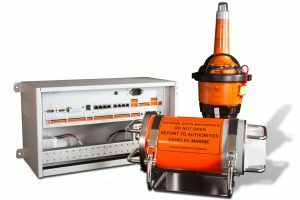 Danelec Marine designs, develops and manufactures products which are solid, safe and simple. 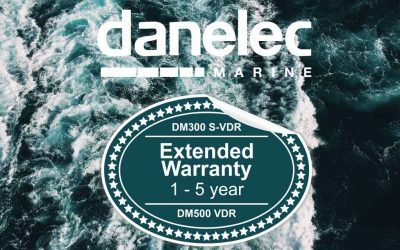 Below we present our unique value proposition and your benefits when you choose a Danelec Marine product and service solution for your vessel. Danelec products are based on an application-specific design to ensure extreme reliability. 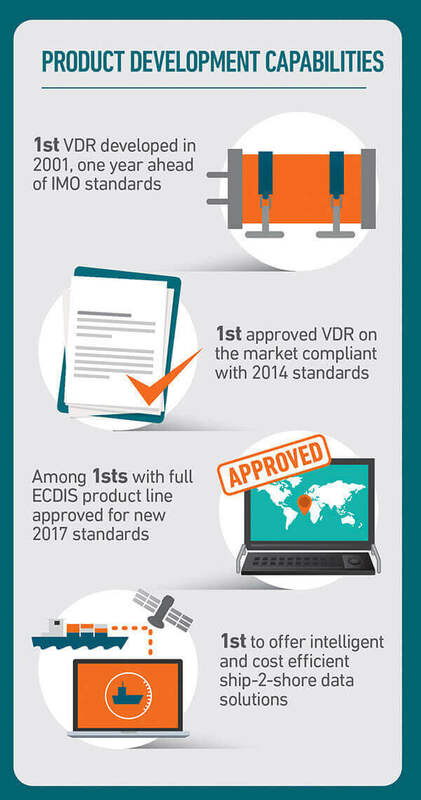 Fewer components mean fewer points of failure, resulting in the highest MTBF in the industry. 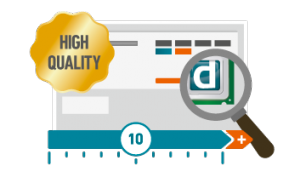 We guarantee serviceability of our products during their lifetime for a minimum of 10 years. Since our products are developed in-house, we have full control over all components. 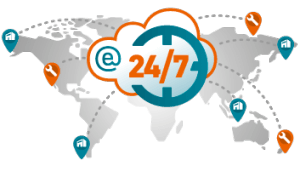 Our extensive global network of service centers carry spare parts and provide service repairs 24/7 with 500+ factory-certified technicians in 50+ countries. 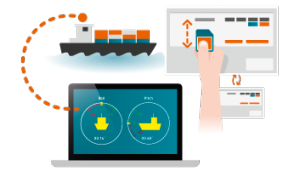 Danelec eService platform™ automates and streamlines traditional manual processes, bringing unprecedented levels of consistency and efficiency to shipboard service. 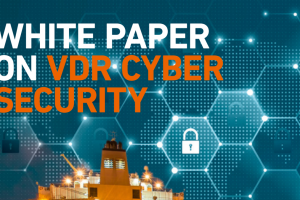 Our range of remote management solutions enable instant and cost-optimized management from shore to ship, so that you can harness the power of big data for informed decisions and more efficient asset management. 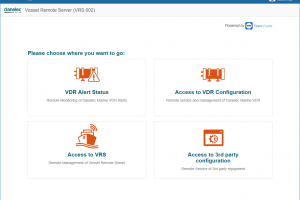 Our exclusive SWAP technology™ enables fast and easy replacement of equipment in case of failure, without reinstalling software and reconfiguring the system. 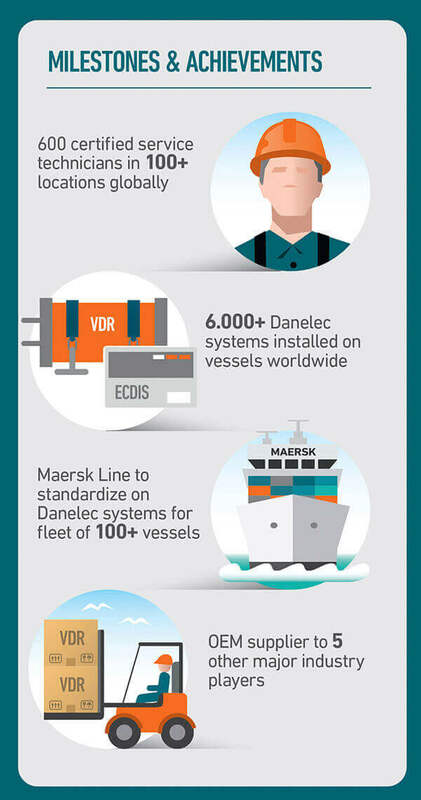 Danelec Marine is a leading manufacturer of Voyage Data Recorders, Electronic Chart Display & Information Systems and ship-2-shore data solutions, with more than 6,000 installations worldwide. 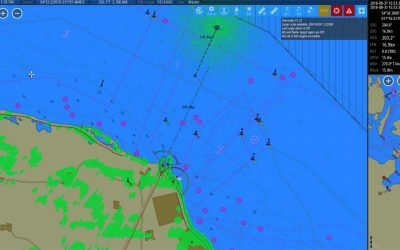 Enter into a new era of navigation with Danelec’s complete ECDIS solution. 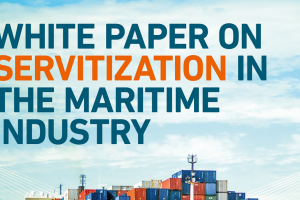 Capture shipboard data through instant and cost-optimized access from shore. 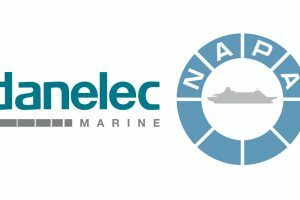 Below you find the latest news from Danelec Marine such as press releases, product releases, announcements, and future activities. 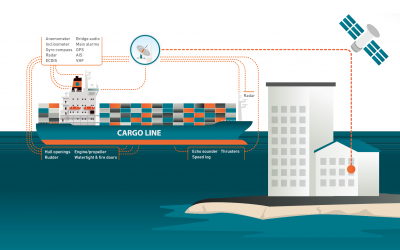 Danelec Marine is proud to announce participation in ‘ShippingLab’, an ambitious 3-year project partnership with the common goal of creating Denmark’s first autonomous, environmentally-friendly ship. 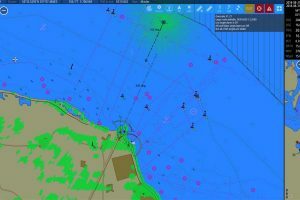 At last year’s SMM, Inmarsat and Danelec Marine proudly announced a strategic partnership to develop a shipboard data collection and processing system for Inmarsat’s new Fleet Data IoT solution. 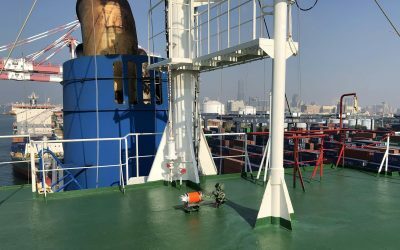 At SMM 2018, Inmarsat announced a strategic partnership with Danelec Marine to develop a shipboard data collection and processing system for Inmarsat’s new Fleet Data IoT solution. – João Roberto, Radio Holland Portugal, – RHP, S.A.
– Henk Van Mullem, Jr. Project Manager, Admarel BV. 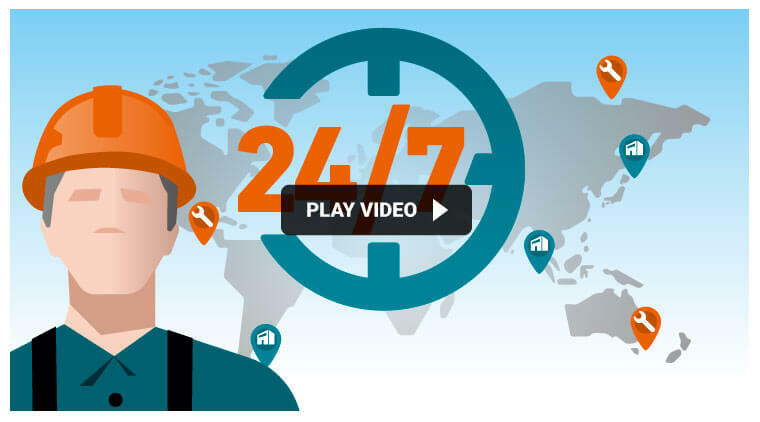 Our worldwide network of distribution and service partners ensure cost effective installations, and provide service repairs 24/7 with 600+ factory-trained personnel in 50+ countries. Service center with Danelec-certified technicians. 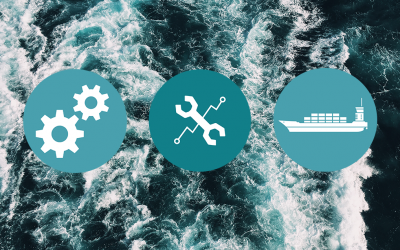 Full onsite spares for VDR, ECDIS, and DanelecConnect. 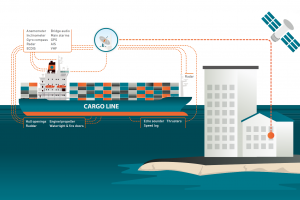 Shipping is in our DNA. 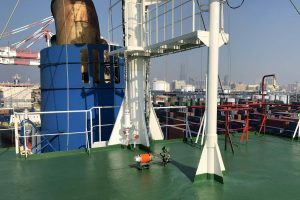 We are headquartered in Denmark with local offices in the most important shipping markets and a worldwide reach through a global network of Danelec partners. 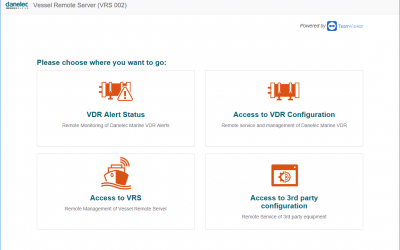 The installation of Danelec's new-generation DM100 VDRs are facilitated using “retrofit conversion kits,” having specific hardware, software and data interfaces customized to replace more than 45 different brands of VDRs and S-VDRs. 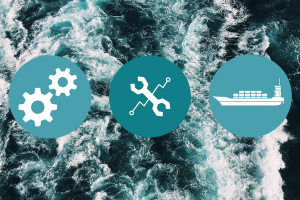 As an agile organization, we at Danelec Marine constantly strive to find new ways to provide the most efficient product and service solutions to the maritime industry. We therefore welcome your feedback and make the most out of it. 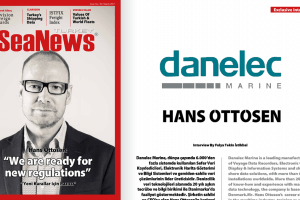 Whether you had an exceptional experience or we did not meet your needs, we highly appreciate if you will provide us with any feedback or suggestion and share this directly with CEO Hans Ottosen in the following form. Hans’ career started in the maritime industry, training as a naval officer in his early years. 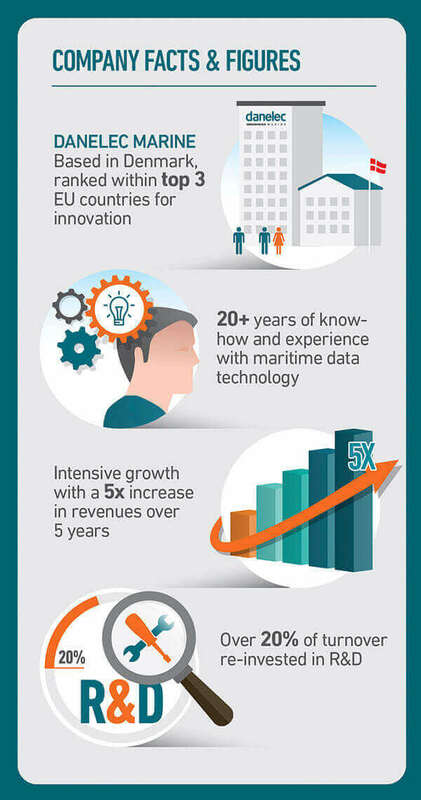 Joining Danelec Marine as CEO, he has been back in the maritime industry since 2011. Hans holds an MBA from IMD and has 25 years of general management experience internationally from various companies, like Philips. 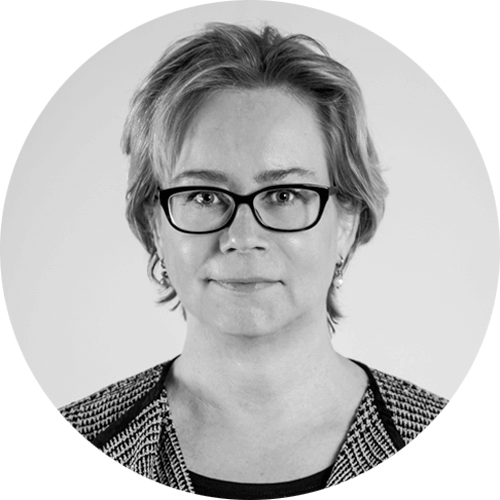 Susanne is responsible for all financial, IT and administrative related matters and has been part of Danelec Marine since 2013. 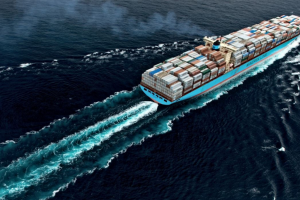 She has over 25 years of experience within finance, accounting, IT and HR, having worked at among others Maersk. 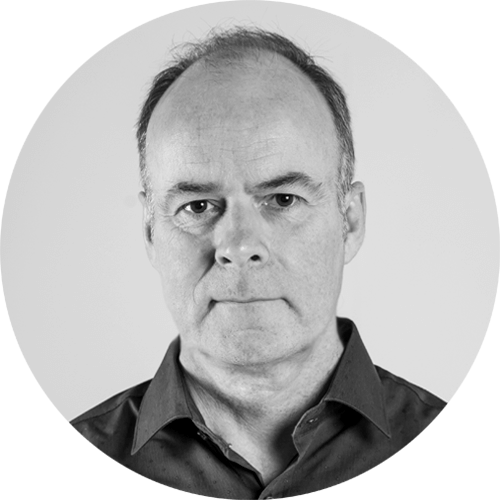 Peter is heading Danelec Marine’s R&D department with over 35 years of experience in electronic and mechanical engineering. 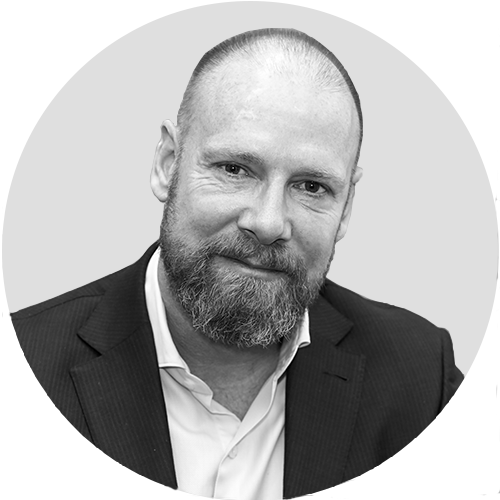 He has been with Danelec since the inception of the first VDRs in 2002 and previously held similar management positions in a number of hi-tech companies. Dorthe has been with Danelec Marine since 2015. 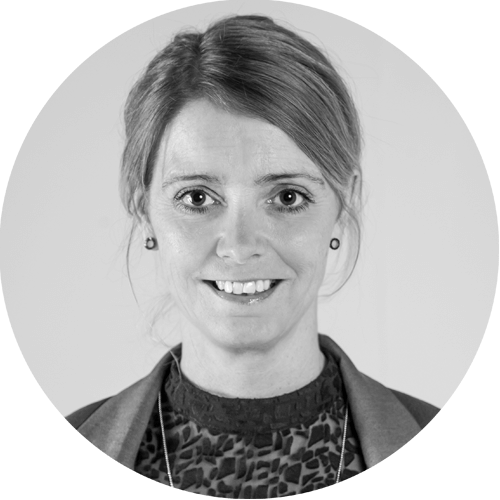 She comes from a background in procurement and during her 25 years career she had various senior management positions in companies, such as Cobham. to receive latest news, announcements and product releases.